Agape Christian School extended its winning streak to four after cruising to a 54-14 victory over Mt. Carmel School in the Commonwealth Coalition of Private Schools Association Middle School Basketball League last Friday at ACS basketball court. Eason Tag led Agape’s breakaway in the second period, as he fired 8 points and finished the half with 12. Antonio Lee, David Zheng, and Tony Liang also contributed for the Torchbearers in the pivotal second period, while Leo Naraja registered all of Mt. Carmel’s 4 points in that quarter, as no other Knights came to his aid. The Knights were almost held scoreless when action resumed with only O’hane Borja making a deuce for MCS in the third canto. In contrast, Tang, Bao, and Li teamed up for Agape, as they increased the team’s lead to 25, 37-12, heading into the final frame. 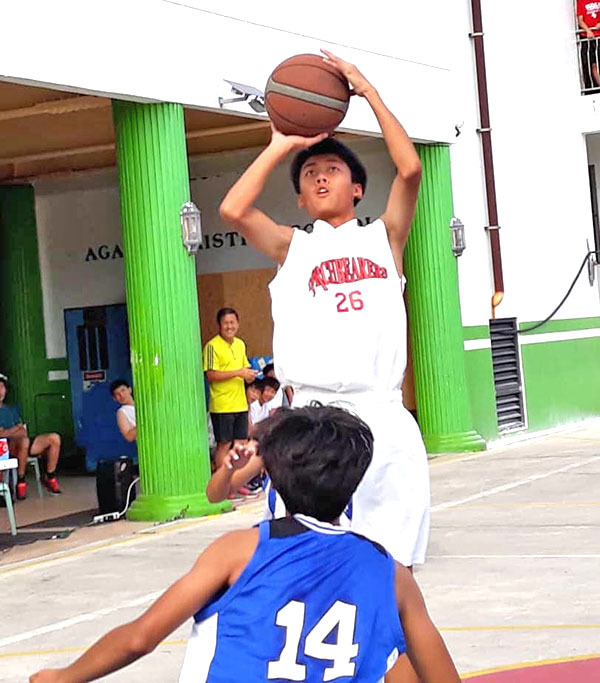 Agape’s convincing victory in the boys division game gave the team a sweep last weekend, as it earlier won in the girls match, 25-14. After failing to hit the board in the second quarter and facing a 7-8 halftime deficit, Agape played better in the second half, outgunning the Lady Knights, 18-6. Mt. Carmel lost the shaky lead at the break, as it was held scoreless in the third period. Jenny Lin, Mei Ou, Shuo Yang led Agape’s balance attack after recording10, 7, and 6 points, respectively. Kaithlynn Chavez, on the other hand, accounted for 12 of the Knights’ total output. With the win, Agape now holds a 2-0 record, while the Mt. Carmel fell to a 1-2 mark. Meanwhile, Saipan Community School bagged its first victory in four matches after routing Northern Marianas International School, 44-8. The Tsunamis’ consistent effort on the defensive end was the key factor in their victory, as they held the Phoenix scoreless in the second and third quarters. NMIS absorbed its third straight defeat after winning its season debut. On offense, Charlie McDonald top-scored for SCS with his 26 points, while Isaiah Aleksenko added14 markers. ACS 25—Lin 10, Ou 7, Zhao 6, Wang 2. MCS 14—Chavez 12, Pathil 2. Scoring by quarters: 7-6, 7-8, 15-8, 25-14. ACS 54—Tang 16, He 8, Bao 7, Li 7, Liang 4, Miao 4, Zheng 3, Dai 2, Jin 2, Chen 1. MCS 14—Borja 4, Naraja 4, Cepeda 2, San Nicolas 2, Sasamoto 2. Scoring by quarters: 10-6, 27-10, 37-12, 54-14. SCS 44 —McDonald 26, Aleksenko 14, Timmons 4. NMIS 8—Valdoz 6, Mateo 2. Scoring by quarters: 4-6, 18-6, 26-6, 44-8.